​My name is Kristen Drury. This is my 14th year at William Floyd High School (located on Long Island, NY) teaching Advanced Placement chemistry, honors chemistry, Regents chemistry, general chemistry, and forensics. I earned a Bachelors in chemistry and a Masters in education at Stony Brook University. 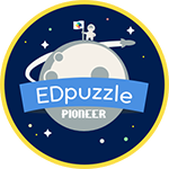 I have been flipping my classroom since 2011 and I am currently a huge fan of the EDpuzzle flipping website. 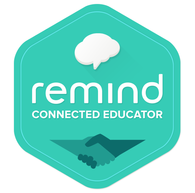 I am an EDpuzzle certified coach and a Remind Connected Educator and certified trainer. Ask me about either! I love to talk about science education. I believe process oriented guided inquiry learning (POGIL) has been integral in my classroom as well as cooperative groups. Sharing ideas and best practices with others is so important to me. Please feel free to use anything I have on the website. Be aware that many of the resources are "borrowed" and modified to fit my instructional practices. In addition to teaching high school, I adjunct at SUNY Stony Brook University. I co-teach the Pedagogy and Methods of Science Teaching II course which allows me to work with aspiring teachers the semester before they student teach. We are transitioning into using NYSSLS lessons and working with these fun new inspired teachers is really rewarding. 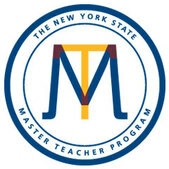 In 2014 I was chosen to become a New York State Master Teacher, along with 70 other teachers on Long Island. Our goal is to provide professional development for STEM teachers in NYS and create more meaningful STEM experiences for our students. The Long Island chemistry cohort created a group that meets to share ideas. If you are interested, please find more information at www.LIACTS.com I was awarded the 2016 Empire State Excellence in Teaching Award. 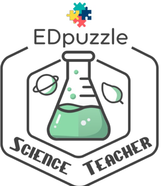 This award allows me to attend more conferences and participate in more professional development activities in order to continue to grow as a science educator. In 2018 I was awarded the AACT Chemistry Teacher of the Year Award. I am very excited and thankful for this unexpected recognition. In January 2017 I attended the facilitators training with POGIL in San Antonio, Texas and the POGIL Advanced Practitioners training in Pennsylvania in June. These gave me tools to facilitate the Northeast Regional POGIL workshops at Johns Hopkins University in 2017 and participate in the lab track for the Northeast Regional Meeting of 2018 in NYC. I attended the National Conference for Advanced POGIL Practitioners (NCAPP) in 2017 and the POGIL National Meeting in 2018. I am looking forward to attuning the POGIL National Meeting again this June. I will also be continuing to provide regional workshops with the POGIL project this July in Boston, MA. I was selected to be an AP Chemistry Reader (grader) in Salt Lake City in June 2017 and 2018 and I am looking forward to another season of reading this June! In July 2018, I attended and presented at the Biennial Conference on Chemical Education at Notre Dame. This summer I am looking forward to attending and presenting at ChemEd2019 at North Central college. I have workshops about POGIL and a mock AP Reading.